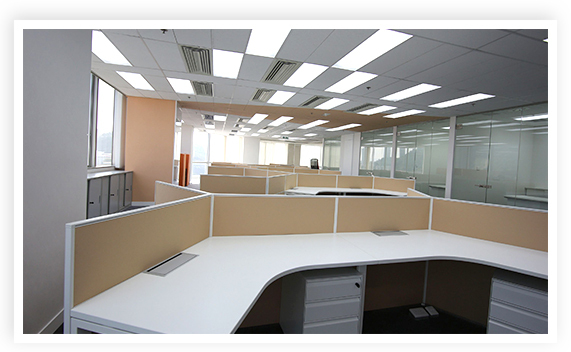 Journalists never realised an office could be so much fun! WOW! 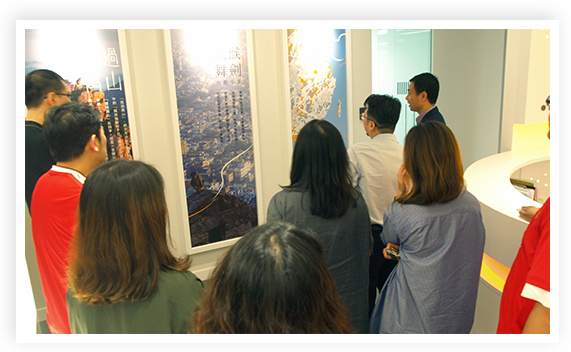 That was the reaction from journalists when they visited our new office at Kwai Fong’s Metroplaza in Hong Kong. 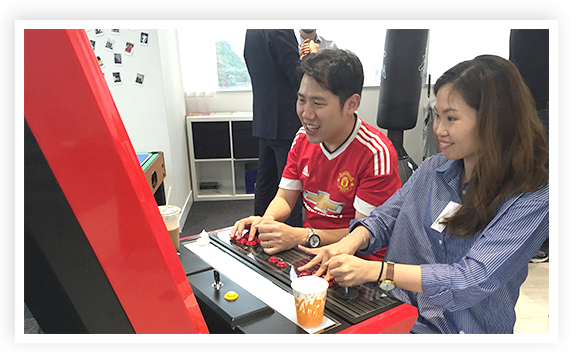 They had never seen a workplace in the ICT industry so suited to the everyday needs of people – and one that could be so much fun! 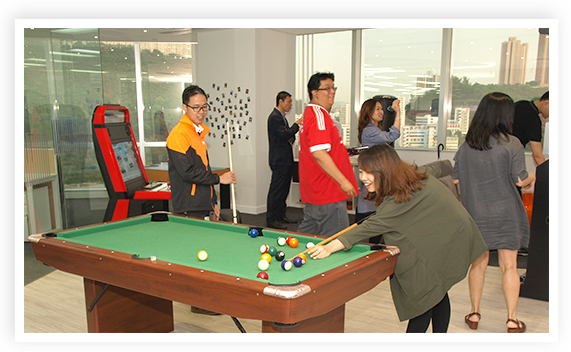 We spent more than HK$8 million on our new home, which is 40% larger than the old office in order to accommodate DYXnet Group’s robust growth over the last few years. 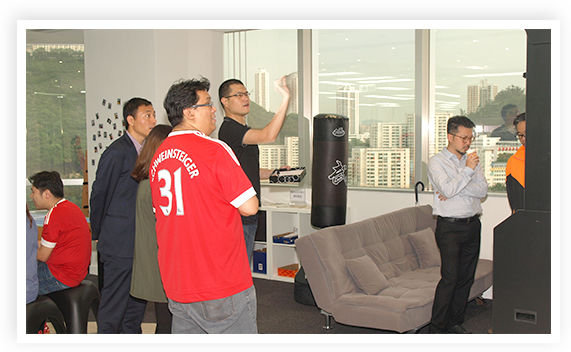 And on April 22, we invited friends from the tech and business media to see how and where DYXnet works in Hong Kong. Media friends pose for the camera with CEO Lap Man and Floria Chan, Group Director, Marketing and Corporate Communications. 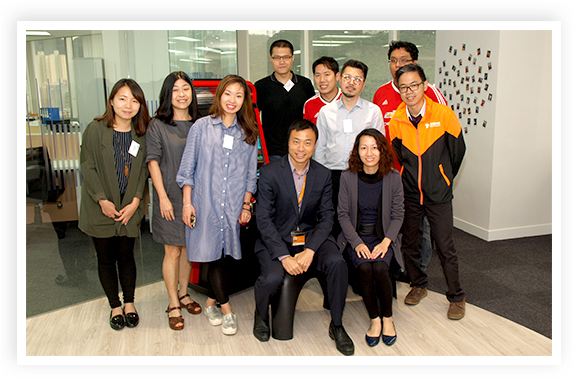 They were ferried to our new office by courtesy of the HKTaxi App and ordered food from 51WM’s O2O food delivery platform, both of which sprang from projects funded by DYXnet CEO Lap Man. 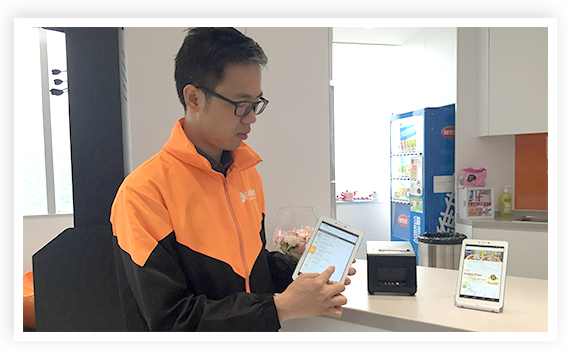 51WM Hong Kong Business Development Director Kan Wong demonstrates how to use the 51WM mobile app to order food. Yummy food served up via the 51WM app! A tour of our new surroundings included the “family wall” covered in photos of our events, such as the Top Gun Awards trip for sales hotshots, and pictures of magic moments captured when staff members were relaxing with their families. 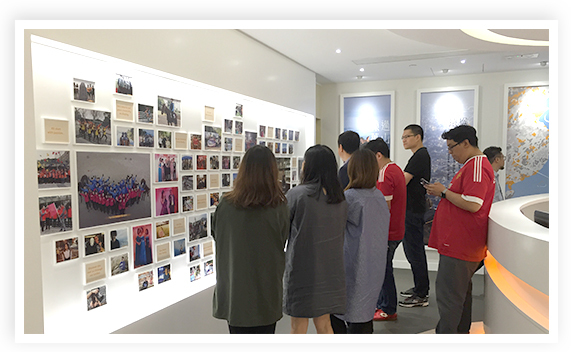 CEO Lap Man introduces our “family wall” and points out eye-catching photos of staff with their families and company events. The reporters also liked our posters, especially the one carrying the words “Move beyond a thousand folds of mountain” – the theme we have chosen for our business during the Year of the Monkey. The journalists were particularly impressed by the 120-degree workstations bathed in natural light because of their proximity to windows, as well as adjustable desks that allow us to work standing up because it can be good for our posture. 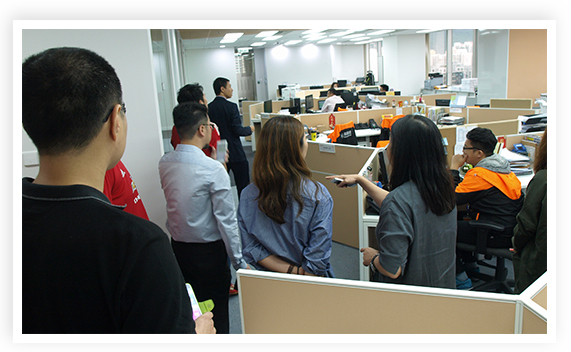 Our media visitors were impressed by the 120-degree workstations served by natural light from nearby windows. 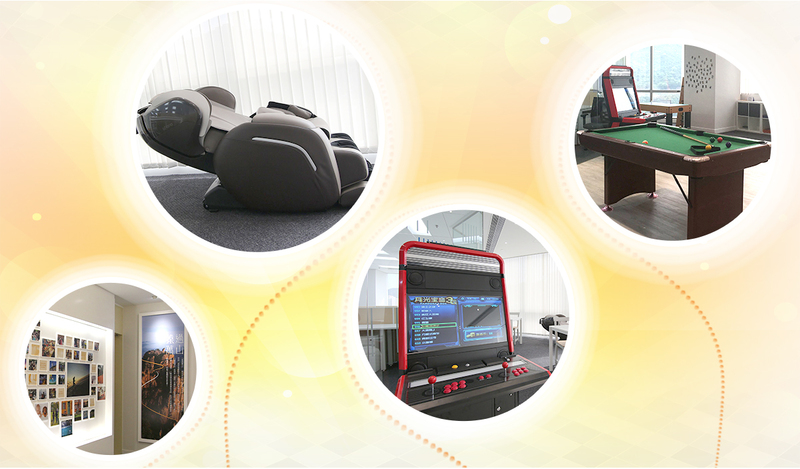 But eyes really widened when the press tour entered the recreation area to see a fully-automated darts facility, billiards table, massage chair, PlayStation 4 and mini-table tennis setup. 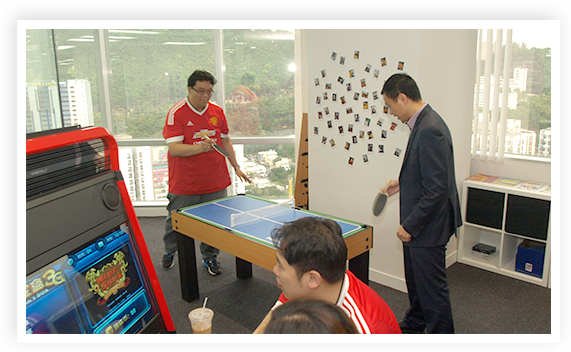 CEO Lap Man plays mini-table tennis with one of the journalists. Two scribes battle it out in the game arcade. Eagle-eyed reporters make the most of our fully-automated dartboard. Right on cue! Journalists get to grips with billiards. 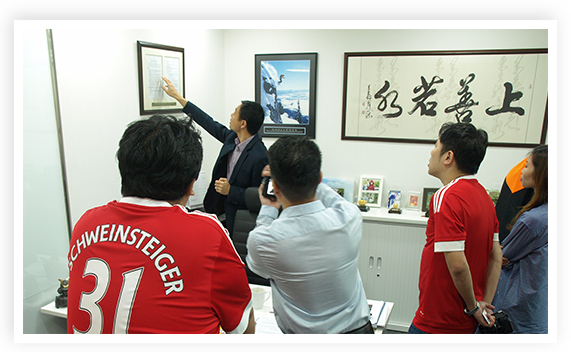 After trying all the games, our media guests rested in Lap Man’s office where they heard the fascinating business survival story behind an agreement hanging on his wall that reads “The Deal That Saved the Venture!” DYXnet has since become Greater China’s No.1 carrier-neutral network service provider. CEO Lap Man tells a DYXnet survival story that gave rise to an agreement in his office bearing the words “The Deal That Saved the Venture!”. Our CEO also explained that as a people-orientated company, DYXnet believes staff are the company’s most valuable asset, so should always come first. And that’s why so many people elements were incorporated into the design of our wonderful new office!